HomeCARBON FORESTS: Can the Free Market Slow Deforestation? CARBON FORESTS: Can the Free Market Slow Deforestation? Tropical forests’ ability to store carbon dioxide and mitigate climate change makes them more valuable than alternative uses like pasture or lumber, and rich countries ought to pay tropical countries to preserve their forests, the World Bank says. However, some environmentalists caution that while reducing deforestation is vital, a so-called carbon trading system is the wrong approach and too complicated to implement. The world’s tropical forests have been shrinking at a rate of five percent per decade since the 1950s. In the past five years, more than 50 million hectares of tropical forest have been lost — an area nearly the size of France. Aside from the loss of biodiversity, destruction of ecosystems and other negative impacts, deforestation is a major source of human-made emissions of climate-altering greenhouse gases (GHGs). In fact, deforestation contributes almost twice as much GHGs as does all road transport around the world. “The trees are worth more alive, storing carbon, than they would be worth if burned and transformed to unproductive fields,” said Kenneth Chomitz, lead author of the World Bank report released Monday. 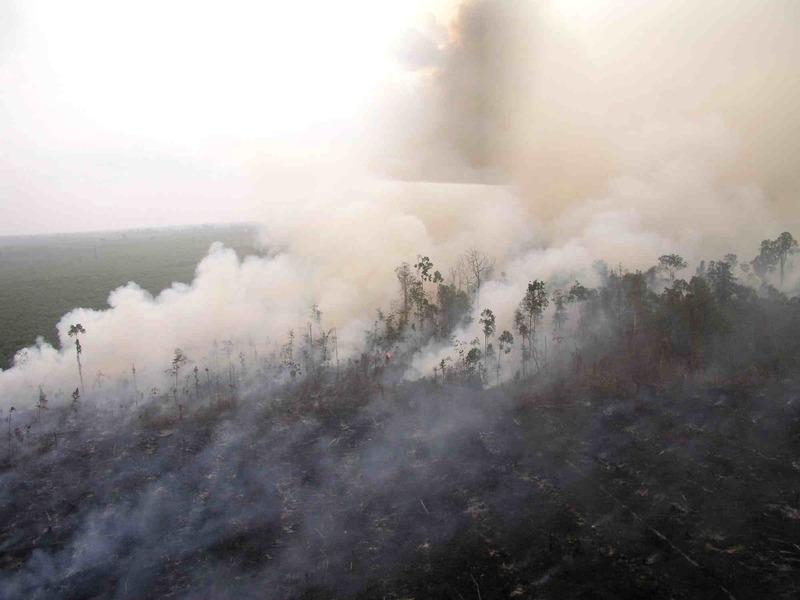 “A Brazilian rancher clearing a hectare of prime Amazonian forest for a pasture worth 300 dollars releases 500 tonnes of carbon dioxide into the atmosphere as the trees burn and rot,” Chomitz told IPS. But on the European carbon trading market, where carbon is worth 15 dollars per tonne, that hectare of forest left standing is a 7,500-dollar asset. In other words, European industry pays 15 dollars to offset each tonne of their carbon dioxide emissions so that they can meet their international emission quotas. A wind farm, which produces no emissions, can sell carbon credits. The Kyoto Protocol’s “Clean Development Mechanism” (CDM) allows member countries to meet their reduction targets by funding emissions cuts elsewhere and helping developing countries reduce their carbon emissions. However, although reforestation is part of the CDM, preventing or avoiding deforestation is not allowed. If developing nations could obtain income from reducing deforestation, they could use the money to preserve forests and stimulate more productive agriculture on poor quality land, he says. Costa Rica and Papua New Guinea have already asked the United Nations Framework Convention on Climate Change to examine incentives for countries to avoid deforestation through forest carbon credits, says the Bank’s “At Loggerheads?” report. The Bank estimates the value of carbon traded in 2005 to be about 10 billion dollars, with a potential to bring much more in new financing for sustainable development in the South. The issue is expected to be a major topic in the United Nations Climate Change Conference in Nairobi in mid-November, says Chomitz. It will be a hotly debated issue.